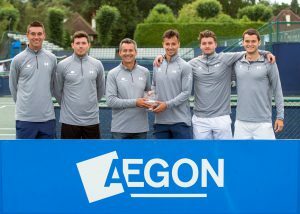 Design Holidays are proud to sponsor the Aegon Team Tennis National Runners twice in the last 3 years- Team David Lloyd Raynes Park. Design Holidays are pleased to announce a fantastic year for David Lloyd Raynes Park men’s tennis team . ‘Having extended our existing sponsorship agreement from 2001, we have seen a fantastic improvement from regional underachievers to one of the best professional tennis teams in Britain, says Johnny Barr Director of Design Holidays, Scottish & GB International / player captain. Each year we add to our squad bringing in world class tennis talent and this year was no exception with our squad of : Lee Childs, Jonny Omara, Colin Beecher, Mark Whitehouse, Josh Goodall, James Marselak , Jamie Feaver, Lewis Burton , Chris Eaton, Jack Draper, Ben Draper and player captain Johnny Barr. For all sponsorship enquiries, please email our corporate sponsorship division at Design Home Sales. The Design Home Sales are pleased to announce their sponsorship of a Bavaria 36 racing yacht named “Cygnus” in all the regattas of the Mar Menor / La Manga and Mediterranean coast of Murcia for this year and beyond. Cygnus will also race in all Alicante regattas, and the world famous Cartagena – Ibiza ! Many congratulations to www.designhomesales.com European Challenge Golf Tour sponsored Player Gareth Wright, who has just had his first top 3 finish at the ‘Scottish Challenge’ on the European Tour. Our congratulations go out to Gareth and a great reward for many hours of hard practice and self belief. www.designhomesales.com are proud to support such a wonderful sporting talent ! Design Home Sales also support La Manga Club’s art Class who in turn help local dog charities.